CitiGolf started something in 1984. VW built them for 25 years. Basically they were a facelifted and modernised Mk 1 Golf, which had originally been introduced in 1974. Since then VW and Ford have played the same trick a few times, lately with the VW Vivo, a facelifted previous generation Polo and Ford produces the Figo based on the earlier Fiesta. Toyota has also done this before. Think of the Tazz. Just after Toyota introduced the new 11th generation Corolla they revealed the Quest, basically a 10th generation Corolla (E150). The Quest is a brilliant interpretation of what a good basic family or business car must be. 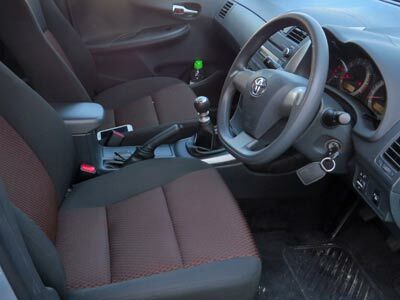 It has all the goodies like power windows, aircon, sound system, adjustable steering wheel, multi-function display, comfortable seats and connections for your sound player or phone. It does not have leather trim, or much soft touch plastic or cruise control. That is the balance Toyota has achieved. You get a choice of four colours but one model only. A six speed manual 1.6 petrol with Emergency brake assist and brake force distribution. The combination of the 6-speed gearbox and latest generation 1.6 litre petrol engine delivers excellent economy and good power. Acceleration is good and top speed well in excess of the legal limit. Why buy a Quest? It is economical, it has got space, it is safe and its very good value for money. It should last as long as any other Toyota. Uses the same parts and a proven platform. They get the price down by keeping things simple and using last year’s technology where practical. Not a bad thing of itself. How does it drive? Like a dog? Quite simply, just like last year’s Corolla. It is pretty good to drive. Good road holding, good handling. It is a good car. Spares are readily available and affordable. For example, the tyres are 195/65R15 which will be easy to replace at a good price. 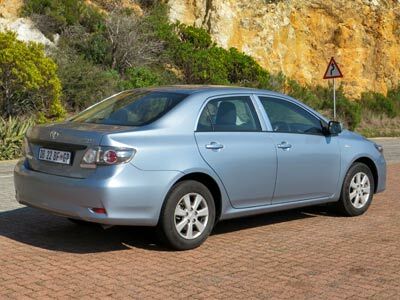 I highly recommend the Corolla Quest as a superb value business car. Price as tested is R174 900. It comes basically fully equipped. Warranty is three years or 100 000km and the service plan is 3 years or 45 000km. Other cars to look at in this price category include Toyota Yaris , Kia Rio, Hyundai Accent, VW Polo Vivo, Honda Ballade, Ford Ikon, All smaller. Similar size cars include the Hyundai Elantra (R45 000 more), Honda Civic (R40 000 more), Chevrolet Cruze R50 000 more) and new Corolla (R40 000 more). 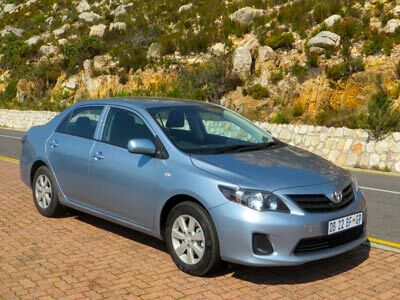 This entry was posted in Reviews and tagged 2014, Corolla, manual, petrol, Review, South Africa, Toyota. Bookmark the permalink. preferred blogging platform available right now.